One of the most striking features of all Hindu ritual is the repetition of sacred formulae, usually in Sanskrit, which accompany ritual acts. These are mantras. Mantra has been notoriously difficult to define, but very broadly refers to sentences, phrases, or words, mostly though not exclusively in Sanskrit, in verse and in prose, which are recited or chanted for ritual and soteriological purposes. In the orthodox vedic tradition they have been used to evoke deities, for protection, and to magically affect the world, and in tantric traditions they are themselves regarded as deities, or as embodying the power or energy (sakti) of a deity. Mantras can be uttered audibly and loudly, they can be whispered (a level which is often regarded as higher than the clearly vocalized mantra) and they can be uttered purely mentally, or in silence regarded as the highest level. Of particular importance is the idea that a mantra is given orally be the teacher or guru, the master of mantra-knowledge, to the student; the guru empowers the mantra, gives the words force or energy, in a way which parallels the icon of a deity in a temple being empowered or brought to life. Mantras of ten combine ‘seed syllables’ (bija), sound units based on Sanskrit phonology. The most famous seed mantra is Om. 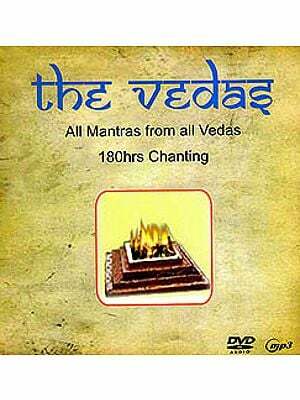 It is regarded as the most sacred sound in the Veda and, as being accepted as sacred even outside the Hindu fold in Buddhism and Sikhism.